May 1979: As Britain gets its first woman prime minister, Eleanor, a naive young dressmaker, arrives in London in search of work and independence. She takes up lodgings with Grenville, a wealthy gay hedonist and is plunged into his world of eccentric bohemians and sexual adventurers. So begins this hugely entertaining yet moving story of deep friendship across a gulf of class, gender and attitudes to love, which is tested as the conflicts of the decade unfold. 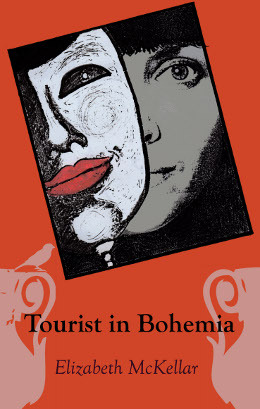 Elizabeth McKellars novel Tourist in Bohemia vividly brings to life the outrageous Grenville and the gay scene of 80s London. This world is seen from a straight womans point of view as it traces Eleanors coming of age amid the gains and losses of the Thatcher decade. Browse the menus on the left for a synopsis, information on the author, for extracts, and ways to buy the book.